COLOMBO: A group of radical Tamils led by Northern Provincial Council (NPC) members MK Shivaji Lingam and Ananthi Sasitharan are at the tail end of their four-day march from Kilinochchi to Jaffna, demanding an international inquiry into the charges of war crimes against the Sri Lankan armed forces, and an international court to try the alleged perpetrators. Speaking to Express from Kaithady in Jaffna, Shivaji Lingam said about 50 people are in the rally, which will wind up at Sangiliyan Thoppu in Jaffna, which had been the seat of the Tamil kings of yore. “I am in the march both as a Tamil and as a victim of war crimes,” said Ananthi Sasitharan. 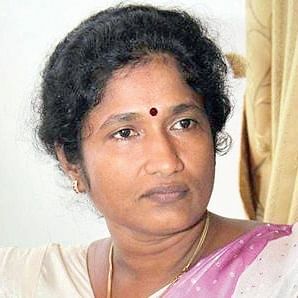 She had seen her husband Sasitharan alias Ezhilan, surrender to the Lankan army on May 16, 2009 at Mullaithivu. But till date, he is untraceable, with the army and every other agency saying that they have no information about him. Ananthi pointed out that her case is only one among hundreds of men and women of the LTTE who had voluntarily surrendered to the Lankan forces in the hope that they would not be killed. “The South African Truth Commission brought succour to the non-Whites because they had, by then, won back their rights. But we the Tamils of Lanka, are still to win our rights,” said Ananthi.